Michael Shane Neal is among the most sought after young portrait artists in America today. Recently receiving commissions to paint such luminaries as Supreme Court Justice Sandra Day O’Connor, former Majority Leader and U.S. Senator Robert C. Byrd, former Secretary of Energy Spencer Abraham, and U.S. Senator Arlen Specter. The Artist Magazine listed Neal among 20 rising stars in the world of art. His unique, sensitive and insightful paintings display a commitment for portraying not just the outer likeness of his subjects, but their character and personality as well. A self-described “people person” Neal enthusiastically shares his excitement for interpreting his clients on canvas in a traditional yet painterly style. Since beginning a full time career as an artist at the age of 22, his dedication to quality and passion for his work has lead to the successful completion of portraits on display around the country. Of particular note was the commission to paint Senator Arthur Vandenberg for the United States Capitol in Washington, D.C. Vandenberg’s portrait is the first commission of its kind in nearly 50 years, and upon receiving the commission at the age of 32, Neal is among the youngest artists ever commissioned by the United States Senate. 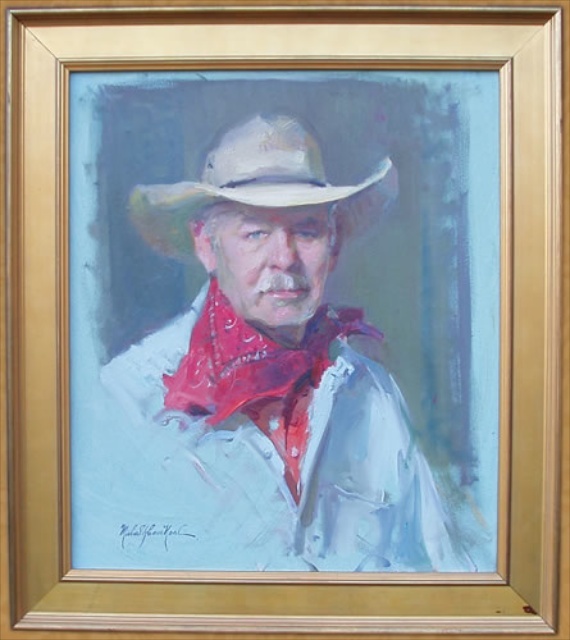 A protégée of the nations leading artist and presidential portraitist Everett Raymond Kinstler (a second generation student of John Singer Sargent), in 2003 Neal exhibited along side Kinstler in a show entitled Realism Now: Mentors and Protégées at the Vose Galleries in Boston, Massachusetts. Neal is the Grand Prize winner of the 2001 Portrait Society of America International Portrait Competition and recently received the Catherine Lorilland Wolfe Award from the National Arts Club and the Tara Fredrix Award from the Audubon Artists of America, both for landscape. In 2004, he received the Artist’s Magazine Award of Excellence at the Oil Painters of America National Exhibition. Receiving his B.A. from David Lipscomb University, he has also studied at the Santa Fe Institute of Fine Arts, The Scottsdale Artist School, and the Lyme Academy of Art. Carving out time for teaching each year, Neal is a popular demonstrator and lecturer at venues around the country. His work has been featured in publications such as American Artist, International Artist, Sketchbook, and The Artist’s Magazine, Art News, and Fine Art Connoisseur. Neal enjoys community outreach projects, golf, plein air landscape painting, and reading with a particular interest in history. The father of two, Neal and his wife reside near his studio located minutes from downtown Nashville.